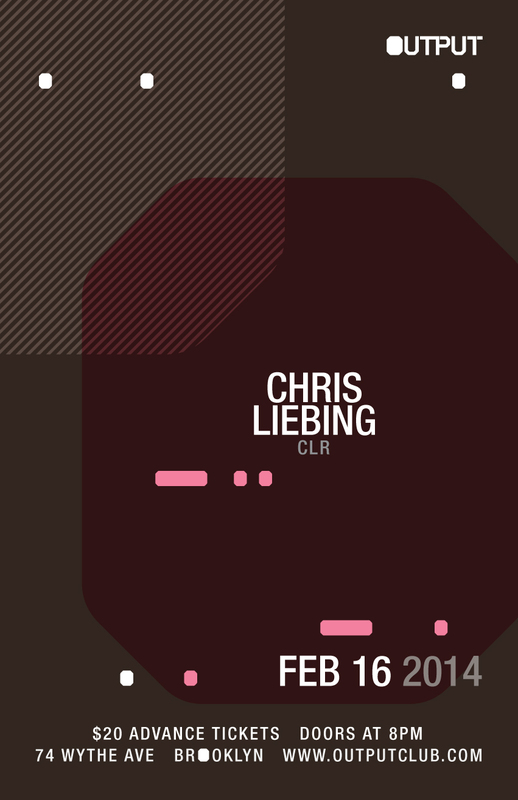 CLR label head & techno pioneer Chris Leibing returns to Output for another extended journey into the heart of electronic music on Sunday, February 16, 2014. At this point in the game, Germay’s Chris Liebing needs little to no introduction. Whether a seasoned veteran or techno layman, the name, as well as his preeminent electronic music brand CLR, are synonymous with all things right about the underground dance scene. Chris’ unrelenting, unflinching style of techno sees him as one of the scenes multigenerational ambassadors, DJing the world’s finest spaces; pushing the technological boundaries techno’s capabilities, as well as being the supportive figure responsible for many of today’s best upstart techno reps. His CLR Podcast boasts a monthly listenership of over 200K+ and CLR the label (CREATE LEARN REALIZE) has grown into a nightlife brand recognized the world over. This Presidents Day weekend, Sunday, February 16, 2014 Chris Liebing once again brings New York an extended, open to close set at Brooklyn’s top underground dance Mecca, Output. Coming courtesy of NYC nightlife titans Rob Fernandez and Benny Soto (the brains behind Dance.Here.Now. - amongst many more), Liebing returns to the hallowed Wythe Ave. decks, and their connected Funktion One sound system. Chris’ last Output headlining gig came in December with an 11+ hour set the techno faithful cheekily grin at when brought up. Email your full name, cell phone number and twitter handle to competition@djmag.com using the subject line "Chris Liebing NYC". Share this article on twitter the hashtag #LiebingDJMag to better your chances at winning. Winner will be announced Friday Feb 14, 2014 at 12pm EST. Good Luck!